Booth Creek Ski Holdings, Inc. was founded on October 8, 1996 by George N. Gillett Jr., former owner of Vail and Beaver Creek ski areas from the mid 1980s to early 1990s. Pursuant to the Justice Department order, American Skiing Company sold Cranmore, NH and Waterville Valley, NH to Booth Creek Ski Holdings, Inc. for $17.2 million on November 27, 1996. On December 3, 1996, Booth Creek purchased Bear Mountain, CA, Sierra-at-Tahoe, CA, and Northstar-at-Tahoe, CA. On January 15, 1997, Booth Creek purchased Summit-at-Snoqualmie, WA. On March 18, 1997, Booth Creek purchased Grand Targhee, WY. In September of 1997, the Loon Mountain Board of Directors approved a Booth Creek merger. On February 26, 1998, Booth Creek acquired Loon, NH for $30 million. On August 28, 1998, Booth Creek attempted to acquire Seven Springs, PA via an $83 million merger. After a long court battle amongst Seven Springs ownership, the merger attempt was eventually abandoned. On June 20, 2000, Booth Creek sold Grand Targhee, WY to George Gillett's private GT Acquisition I, LLC for $11.4 million. On october 10, 2000, Booth Creek sold Bear Mountain, CA to Snow Summit Ski Corporation for $12 million. On December 8, 2006, it was announced that George Gillet and Booth Creek Senior Management were buying out existing Booth Creek shareholders. On January 19, 2007, CNL Lifestyle Poperties, Inc. purchased Northstar-at-Tahoe, CA, Sierra-at-Tahoe, CA, Summit-at-Snoqualmie, WA, and Loon, NH, from Booth Creek Ski Holdings, Inc. for $170 million. Booth Creek retained operational leases for the areas. On June 15, 2010, CNL Lifestyle Properties, Inc. agreed to provide an additional $7 million in financing to CMR Properties, LLC for Cranmore to go along with $8.8 million previously loaned to Booth Creek Ski Holdings, Inc., allowing Booth Creek to sell Cranmore to CMR, the operators of Jiminy Peak, MA. On October 8, 2010, Booth Creek Ski Holdings, Inc. sold its final New England holding, Waterville Valley, to a group of investors including John Sununu. On October 25, 2010, Booth Creek sold the operating lease of Northstar-at-Tahoe, CA to Vail Resorts for $63 million. At this point, final area under Booth Creek management was Sierra-at-Tahoe. 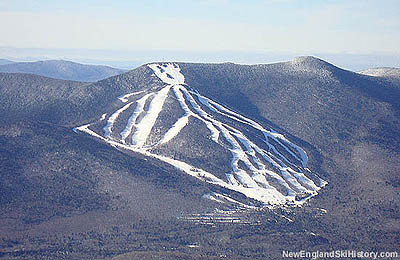 Booth Creek Ski Holdings Sells Waterville Valley Resort October 11, 2010 Booth Creek Ski Holdings, Inc. Principals of Jiminy Peak Mountain Resort purchase Cranmore Mountain June 15, 2010 Booth Creek Ski Holdings, Inc.
Booth Creek Ski Holdings, Inc. to Transfer Control of Loon Mountain and the Summit-at-Snoqualmie Ski Resorts to Boyne USA Resorts September 19, 2007 Booth Creek Ski Holdings, Inc.
George N. Gillett and Booth Creek Senior Management to Acquire Booth Creek Ski Holdings, Inc. from Existing Shareholders December 8, 2006 Booth Creek Ski Holdings, Inc.